Four women with nothing in common except a debt left behind by their dead criminal husbands, take their lives into their own hands as they conspire to steal the money they need to repay the men who are out to hurt them, and to make a better life for themselves. 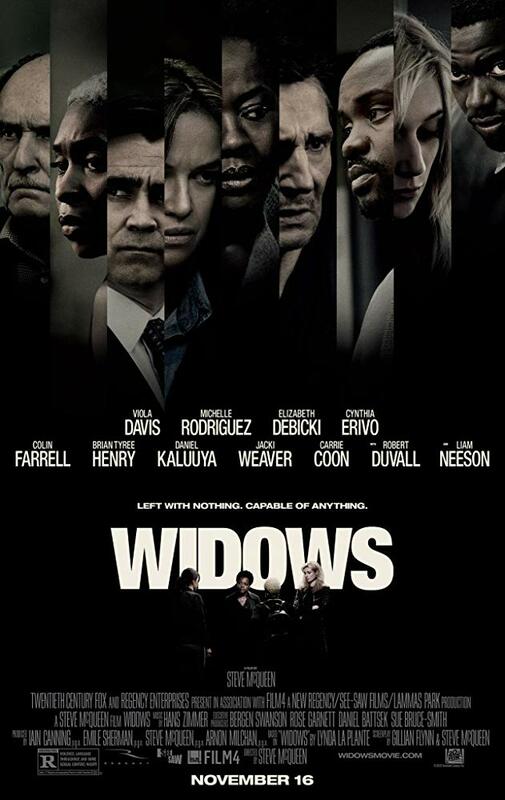 Directed by Steve McQueen who cowrote the screenplay with Gillian Flynn, the author of Gone Girl and many other twisty stories, Widows is a tense heist thriller that never lacks in character and world building. Widows grabs your attention straightaway, with the heist that goes wrong and leads to four career criminals dying. From then it’s an exploration of the people who are left behind and their grief and loss of what to do next. Viola Davis’s steely Veronica is the one who brings the widows together. She has plans left to her by her late husband (Liam Neeson) and needs help in order to get the money to stop those who wish to hurt her. All four leading ladies are magnificent. Michelle Rodriguez’s Linda is struggling to provide for her young children, Elizabeth Debicki’s Alice has no career prospects, and Cynthia Erivo’s Belle is working multiple jobs to keep herself and her family afloat. They are four very different characters but they come together with one goal in mind. That’s not to say they don’t have their disagreements, but together they find a strength and determination that some of them didn’t know they had. Set in Chicago with a backdrop of criminal activity, by politicians and more traditional criminals alike, Widows manages to be a compelling story about interesting and layered women while also managing to bring in race, politics and class into the story. These elements flesh out the Chicago setting. 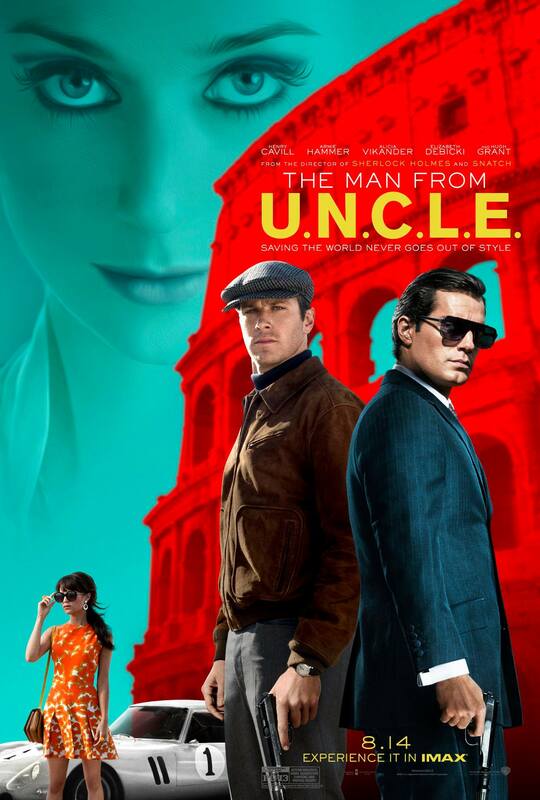 Colin Farrell plays Jack Mulligan, a career politician and whose family has been elected to office for generations, while Brian Tyree Henry plays Jamal Manning, a man who has criminal connections but is from the neighboured he’s campaigning to represent. These two men each have underhand dealings but they approach illegal activity, politics and violence in very different ways. While Widows is building towards a heist, it’s the characters themselves and the stages they have to go through to prepare for the heist that’s the main focus of the film. That doesn’t make it, or the final crime, any less satisfying. You learn about these women, the hardships they’ve faced, and the forces that are out to stop them, and you soon realise that nothing is going to stop them from doing what they set out to do. 5/5.